Whether it’s for work or just a casual day out, the button down shirt is a big contender in my closet. It’s a necessary piece that can be colorful, rugged or clean, depending on your mood. 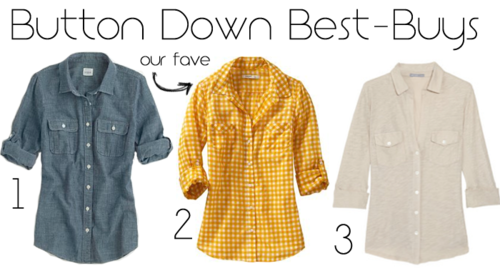 Here are three perfect shirts – the first two are under $50!